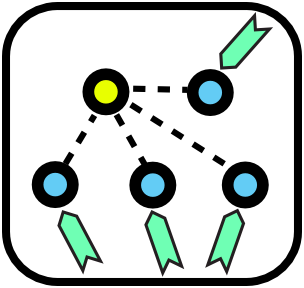 Wireless networks are computer networks that are not connected by cables of any kind. The use of a wireless network enables enterprises to avoid the costly process of introducing cables into buildings or as a connection between different equipment locations. The basis of wireless systems is radio waves, an implementation that takes place at the physical level of network structure. Other technologies still under development but likely to play a role in wireless networks of the future include 5G cellular Internet and Li-Fi visible light communication. To build or tap into a wireless network requires certain types of computer hardware. Portable devices like phones and tablets feature built-in wireless radios. Wireless broadband routers power many home networks. Other kinds of equipment include external adapters and range extenders. Devices such as computers, tablets, and phones are common Clients on a network. When you are accessing a wireless hotspot or the router in your home or office, your device is the client. This client mode is also known as “station mode” as well. A Wireless Client is similar to a person in the audience of a play or movie. They are one of several or many people accessing information through the same conduit – someone speaking. Most wireless networks are made using Access Points – devices that host and control the wireless connection for laptops, tablets, or smart phones. If you use Wi-Fi in your home or office, it is most likely through an Access Point. When a router is set up as an AP, it is said to be in “Master” or “Infrastructure” mode. An Access Point is similar to a person on stage, addressing an audience or crowd – they are providing the information for everyone else. Those audience members can ask questions of the person on the stage, and receive a response. Some wireless devices (laptops, smart phones, or wireless routers) support a mode called Ad-Hoc. This allows those devices to connect together directly, without an Access Point in-between controlling the connection. This forms a different type of network – in Ad-Hoc mode, all devices are responsible for sending and receiving messages to the other devices – without anything else in between. 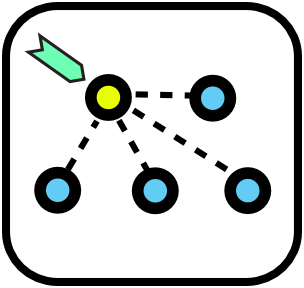 In an Ad-Hoc network, every device must be in this role, and using the same configuration to participate. Not all devices use this mode, and some have it as a “hidden” feature. 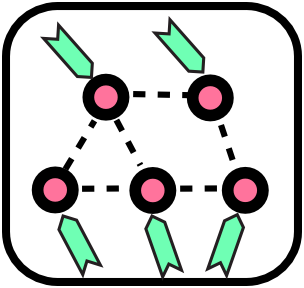 An Ad-Hoc or Mesh node is similar to an individual in a group or roundtable discussion. They can take equal part in the conversation, raising their hand when they want to speak so the others will listen. If someone at the end of the table cannot hear, one of the individuals’ in-between can repeat the original message for the listener.